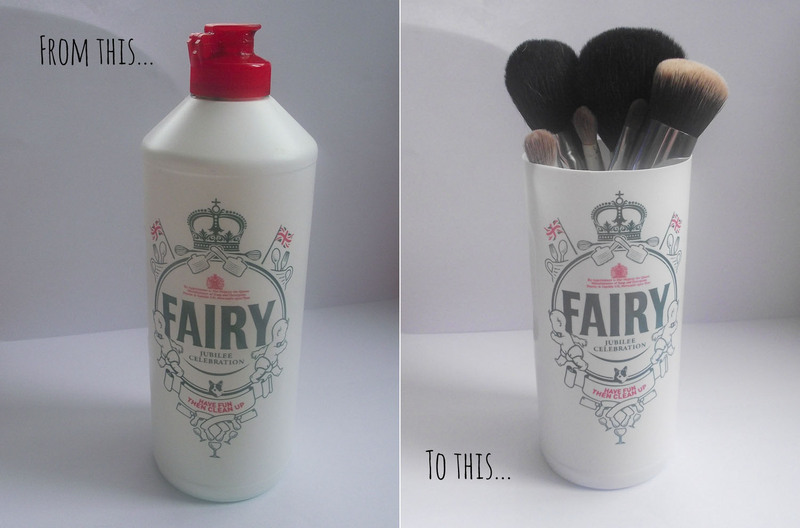 I couldn't bring myself to throw away the limited edition Fairy washing up liquid bottle, why? I hear you say. Well this particular one is a Jubilee Celebration design, I love the traditional bottle. I remember the bottles being like this many moons ago (Shhh! I'm showing my age!). The little Corgi is cute and the Crown on the top looks very regal. So keep reading to see how easy and quick it is to transform into a make-up brush holder. * Step 1 Using the sharp scissors carefully make a hole in the top part of the bottle, it doesn't matter if this is not neat because this part will be discarded. Be careful! * Step 2 Once you've made a hole, cut the top section off. This does not have to be neat because you're going to neaten the edges in a bit. 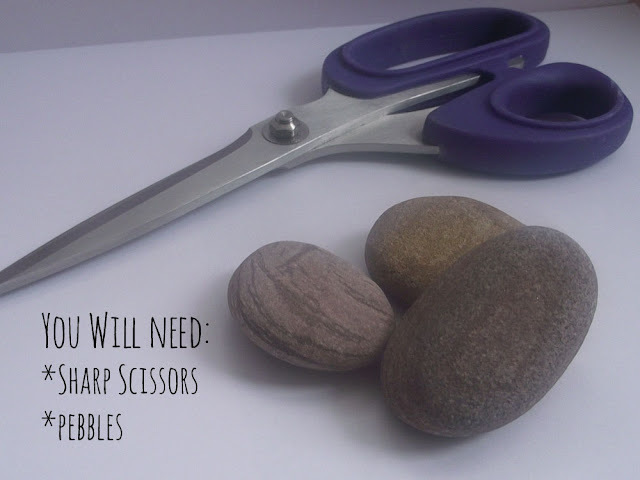 * Step 3 Using the tip of the scissors, gently and carefully snip a v shape into the plastic. This will let you position the scissors better when you come to trim the excess off. * Step 4 Carefully follow the ridge around the bottle using it as a guide. Take your time when cutting and try not to cut all the way down, keep the scissors open and try to cut a continual line. This way there wont be any jagged edges. 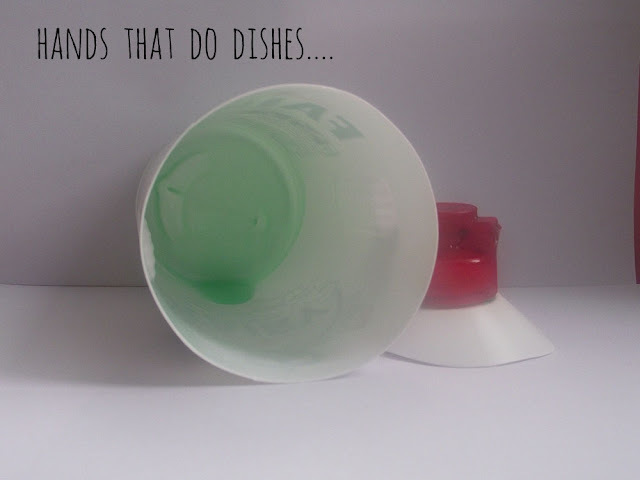 There will probably be some residue left in the bottom of the bottle so go and give it a good wash out. Once the bottle is all clean and dry inside you will need to add some weight to it, because if you pop your brushes in they will topple over! So I've used some pebbles, you could use other things like marbles or those glass nuggets you see in vases. The benefit using pebbles, is they also help adjust the height of the brushes. This is actually quite a tall bottle and my brushes were swallowed up in it. So by using some pebbles in the bottom for weights they also helped to lift the brushes up so you could see them better. I hope you enjoyed my DIY post, please let me know if there is anything in particular you would like to see featured on my blog. I need some more ideas please. Love it, a very simple idea - but so on trend with the kitsch logo! Aw that's so sweet :) Good idea! Great DIY tip! Love it :) Check out my Blog too and lets follow each other?